In the ’60s and ’70s, RAE had a really evocative theme song that opened and closed their broadcasts. For years I searched for a copy of this, even going as far as writing the station about ten years ago. They graciously obliged, sending me a recording of the LATER theme, not the one I wanted. Well, here it finally is. RAE used an edited-down version. My clip begins with a vintage RAE open and close, and then the song! It’s an obscure composition by Argentine composer Waldo de los Rios, entitled “Sol Alegre,” from a 1957 Columbia album called “Kiss of Fire.” Hope it brings back some memories! Click here to listen at Clyp.it. Thanks for this stroll down Memory Lane, Al! This entry was posted in News, Nostalgia, Radio History, Shortwave Radio and tagged Argentina, Interval Signals, Radio Argentina Exterior, RAE, Shortwave Radio on January 10, 2018 by Thomas. We are celebrating all along the year. This week RAE moves to a new and functional desk office with access from the main hall to the entrance of Radio Nacional building in the historic address of Maipu 555, Buenos Aires. Next, we are going to inaugurate a modern radio studio. We are optimistic in being able to celebrate these 60 years with a new short wave transmitter from the General Pacheco plant in Buenos Aires. Also, in March, new shows and content will be over the air from Buenos Aires, on shortwaves and digital environments. Obviously, there will be contests, a new website, SPECIAL QSL and much more. Thank you, Adrian! Sounds like RAE will have many positive developments this year. Excellent! Note that RAE have also recently announced their new shortwave schedule via WRMI. This entry was posted in Broadcasters, News, Shortwave Radio and tagged Adrian Korol, Radio Argentina Exterior, RAE, RAE - Radio Argentina To The World on January 10, 2018 by Thomas. We are happy to announce that RAE Argentina to the World will broadcast on shortwaves in its 8 languages starting May 22nd. Many thanks, Adrian. It’s been great to hear RAE on the shortwaves again! Thanks for keeping us updated! This entry was posted in Broadcasters, International Broadcasting, News, Schedules and Frequencies, Shortwave Radio and tagged Adrian Korol, RAE, RAE - Radio Argentina To The World, shortwave, WRMI on May 17, 2017 by Thomas. Greetings dear friends of Actualidad DX.com.ar, the DXing program about DXing, broadcasting media and new technologies that airs every week through RAE-Argentina to the World, the International Short Wave Station of the Argentine Republic. We also invite you to contact us via traditional mail, to RAE Argentina to the World, PO Box 555, Post Code 1000, BA, Argentina. RAE Argentina al Mundo keeps on incorporating new technologies and has now a new channel: AUDIONOW, that allows our listeners to follow our programs via their phones, at the cost of an local phone call. AUDIONOW is a system to connect stations with their audiences in far-off places, as an alternative to SW and internet. In the specific case of the US, online listening is made only where there’s Wi Fi networks near, since 4G and 3G services don’t have flat-price data plans, but they do have flat-price plans for phone calls. 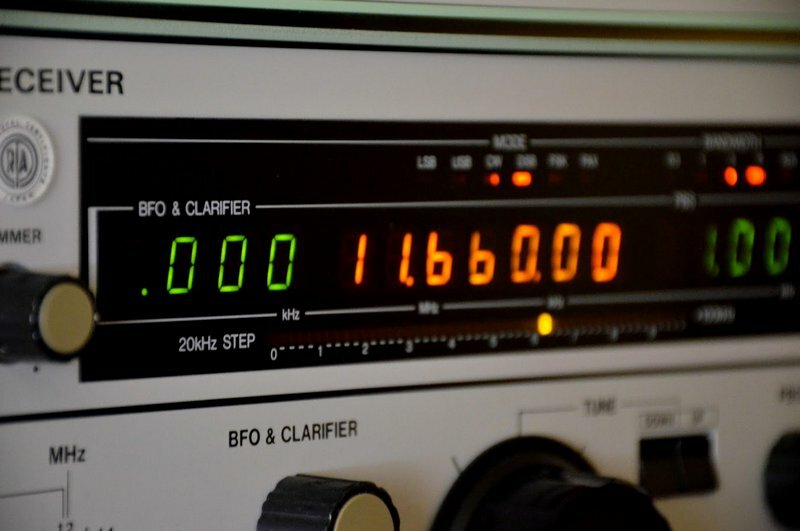 This radio-over-phone instrument is already used by other international broadcasters such as BBC, VOA, Radio Francia Internacional, Deutsche Welle, and the UN radio station. On this first stage, RAE Argentina to the World will work with Audionow in English and Spanish for listeners in the US who will be able to tune in on our full hour-long programs or on our news bulletins. Arrangements are being made to bring this option to Mexico and Canada in North America and Brazil in South America. There’s the intention also of including football broadcasts. And we kick off with SW hearings. 0500-0620 en 6155 khz con 300 kW in German for the west of Europe, from Mondays to Fridays. 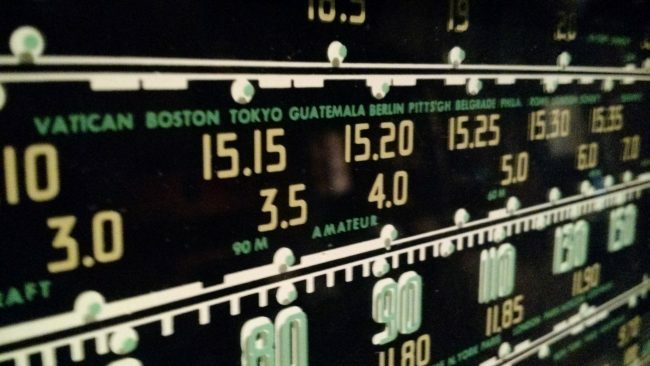 0500-0615 en 6155 khz also in German for western Europe, on Saturdays and Sundays. From the same transmitting site, religious broadcaster FEBA goes on the air, between 0800-0830 on 15260 KHZ with 100KW in Arabic. Also from Moosbrun, Austria, Radio DARC, broadcasts only on Sundays, between 0900-1000 UTC on 6070 khz con 100 kW in German. Only the first Sunday of every month and always from Moosbrun, Radio JOystick can be picked up between 1000 and 1100 on 7330 khz, with 100 kW for Europe in German. Now we share some news for the A17 broadcasting period by WCB-Madagascar World Voice. Between 0200 and 0400, on its new frequency of 6190KHZ with 100KW, aimed at SOuth America in Spanish, with a program called “The Happy Voice”. Between 0300-0400 on 15515 KHZ with 100KW for Southeast Asia with English-language program “African Pathways Radio”. Between 1900 and 2000 on 9820 KHZ with 100KW in Russian for Eastern Europe, with a program generated by its sister station “KNLS New Life Station”. Now we have more news from Argentina. The Culture Secretary of La Rioja province, Víctor Robledo, together with other officials of the provincial administration met Cristian Arrieta, the delegate from the ENACOM, Communications Board. The provincial secretariat had requested the federal authorities for an FM broadcasting license, to set up a public radio that broadcasts culture-related news. In addition, a project called “Russia and China on the Silk Road”, organized by both groups began last October. 25 journalists from both nations will visit the main stages of the New Silk Road between the cities of Xi’an and Urumchi. And back to Latin America to visit Ecuador. The Ecuadorian House of Culture reported that the Telecom Watchdog Agency, Arcotel, assigned an FM broadcasting licence to them. Arcotel granted the entity the 100.9 frequency, with enough range to cover the province of Pichincha. The new station will be called Culture FM. Pérez underlined the importance of getting the licence, something the House of Culture had been working for years. They already run an AM station, House of Culture Radio, that’s been on the air for almost 70 years, and is one of the forerunners in the field of cultural broadcasting in the country. According to Pérez Torres, Culture FM will aim at contributing to the cultural enhancemente of Ecuadorians, bringing them closer to Latin America and the world. Proaño, expects the station becomes a reference in culture for the country. Let’s continue with the Americas. Now, Panamá. The Panamanian National Authority of Public Services held two public hearings that seek to establish the reach and benefit for the population of granting Radio Licences Class B (non-proffit broadcasting) to the State-Ran SERTV broadcasting service and the Catholic Faith Radio Promotion Foundation. During the hearings, which are part of the process the entity carries out every two years to assign FM licences, legal representatives of both organizations presented their arguments to obtain concession of the broadcasting rights, underlining they wanted them exclusively for divulging issues that strengthen national culture, democracy and transparency in public administration. Moving on now to Venezuela, where various stations have closed down in the region of Yaracuy, because they were allegedly in violation of the law, and hadn’t met legal requirements to remain on the air. The CONATEL telecom watchdog agency establishes that broadcasting is suspended until they meet the legal requirements. These are the stations that were removed from the airwaves by the Venezuelan authorities: Yara 104.3, K-ndela 90.3, Más Network 98.9, Shaddai 101.9, Mix 98.3 y Criollísima 104.9, all of them FM stations. Rumbera Network 106.5 was mentioned as one of the potential broadcasters in problems, but the station’s management dismissed this rumour, and explained they were off the air due to a broken transmitter that was fixed already. When CONATEL inspectors visited the area of Nirgua, they closed down La Reina 96.7 FM, Agua Viva 90.3 FM y Tentación 90.9 FM. and also Divertida 104.7 FM, Sabor 89.9 FM, Auténtica 97.1 FM y Urbana 102.9 FM. And the final part of our program is dedicated to cinema and radio. 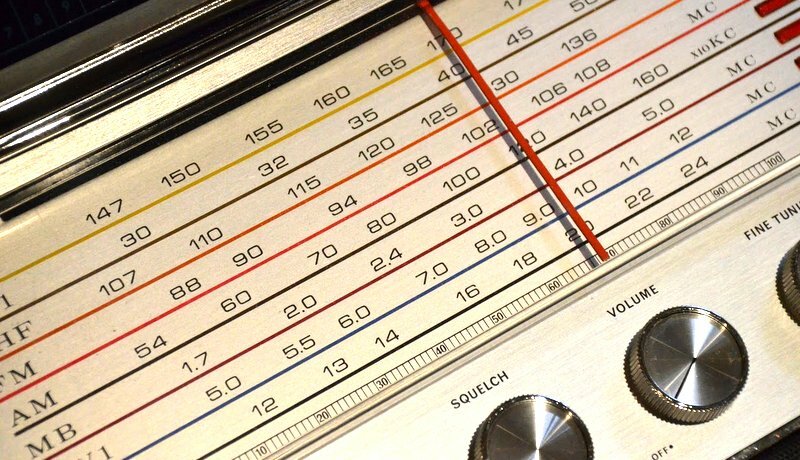 Radio didn’t only revolutionize the telecommunications sector. It also enabled journalism and entertainment to explore new fields. Therefore, the world of waves and transistors has generated a world of its own that has been depicted on various films. On the occasion of marking the World Radio Day, Non Stop People has prepared a clip reviewing the main radio-related films. A highlight of the list is Good Morning Vietnam, of 1987, starring Robin Williams. The movie is a criticism of political correctness. The role of the radio presenter is key in other features such as Talking To Death of Lonely in the Night. Then, there’s also Radio Stories and Radio Days, that shows the effect the medium had on people’s day-to-day lives. Not close to a radio receiver or internet? Now those who live in the US can listen to RAE-Argentina to the World live calling 641.552.8099 from any telephone, with no additional cost per call. Call 641.552.8099 and listen to news and content by RAE – Argentina to the World. Save the number on your phone. If you have friends and family in the US who enjoy being in touch with Argentine current affairs, tell them they can call 641.552.8099 and listen to RAE – Argentina to the World from any mobile phone. The best part is that there’s no additional cost for the call when one calls from the US. This entry was posted in Broadcasters, DX, International Broadcasting, News, Shortwave Radio and tagged Actualidad DX, Adrian Korol, Argentina, RAE, RAE - Radio Argentina To The World on April 11, 2017 by Thomas.